With the continuous rise of ISIS, the spread of homegrown and “lone wolf” terrorism, and the instability rocking Syria, Iraq and Africa, this year’s conference held by IDC Herzliya’s International Institute for Counter-Terrorism was as relevant as ever. 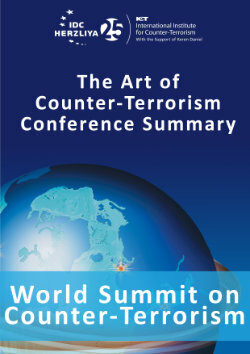 More than 1,000 decision-makers, defense, intelligence and police officials, academics, and security industry leaders from over 60 countries took part in the 2015 World Summit on Counter-Terrorism, which was held during the week of September 11, 2015. Two days of plenary sessions were held at the Sharon Hotel in Herzliya, during which participants discussed issues including the challenges posed by ISIS, Hamas and Hezbollah, and the counter-terrorism policy known as Countering Violent Extremism (CVE), followed by two days of workshop sessions on the IDC campus. This year’s conference theme was “The Shifting Sands of Terrorism.” Speakers explored the proliferation of terrorism in an evolving environment, the growing diversity of terrorist actors, and the possible counter-terrorism strategies to respond to these threats. Formal terrorist groups continue to pose formidable challenges to the security of states, while informal actors such as local networks, foreign fighters, and lone wolves have amassed the potential to inflict significant damage and sow fear among the population. Prof. Boaz Ganor, founder and executive director of ICT and dean of the Lauder School of Government, Diplomacy & Strategy, addressed the challenges faced by states in implementing counter-terrorism policy. Israeli Construction Minister Yoav Galant outlined three dangers: the rise of Iran, the global Sunni rebellion, and the dismantling of the regular states in the Middle East. During a session titled “Hamas: Between Fatah and the Salafists?”, Maj. Gen. Shlomo "Sami" Turgeman, outgoing commander of the Israeli Defense Forces’ Southern Command and a Distinguished Visiting Fellow at ICT, said Hamas is “building its power and military structure according to military logic, including attack and defense, with land, sea and air capabilities. We see a conventional military structure, though its targets of action are those of a terrorist organization." Hamas is also dealing with the rise of Salafism in the Gaza Strip, Turgeman said. “It is concerned that Salafist groups are undermining its control and sovereignty over Gaza. There have been several instances in which the Salafists have used force against Hamas. The Salafists are to Hamas both an ideological threat and a threat to its ability to keep order," he said. "Therefore, we see how Hamas is using all its intelligence capabilities against those groups. It is taking preventative measures and making arrests to suppress the Salafist awakening." In a session entitled “What is the Name of the Game: Countering Violent Extremism (CVE) or Countering Terrorism?” Baroness Pauline Neville-Jones, the U.K.'s former security and counter-terrorism minister, discussed the recent British experience. “Destroying the enemies must start with destroying their ability to recruit,” she said. Ganor discussed the wave of Muslim immigration to Europe, tying it to CVE and the question of how it will influence future waves of terrorism in Europe. The workshops that took place on the last two days of the conference dealt with the evolving environment affecting the terrorist threat, including cyber-terrorism, geopolitics, and ideologies; the growing diversity of those engaged in acts of terrorism, from individuals to informal networks to state actors; and counter-terrorism, including the role of police and law enforcement, deterrence and military victory, and de-radicalization. The conference ended with a simulation dealing with the threat of a terrorism campaign in Europe. In the scenario, a group of Belgian ISIS fighters about to return from Syria are planning a strategic terrorist attack within Europe. The players, representing decision makers in Belgium, grappled with multiple dilemmas before choosing to forgo air strikes in Syria in favor of arresting and prosecuting the terrorists, who were Belgian citizens, on Belgian territory. The Belgian prime minister was played by Brian M. Jenkins, senior adviser to the president of the RAND Corporation, the defense minister was played by Bulgarian Ambassador to Israel Dr. Dimitar Mihaylov, the justice minister was represented by Dr. Daphné Richemond-Barak, head of the Terrorism and International Law Desk at ICT, and the interior minister was played by Michèle Coninsx, president of Eurojust, an EU agency that deals with judicial reform. Lt. Col. Dr. Bryan Price, director of the Combating Terrorism Center at the West Point Military Academy, played the national security adviser, while Lt. Col. Edward Brady of the U.S. Army War College represented the armed forces chief of staff. Ganor also praised Igal Jusidman, representative of Keren Daniel, who was at the conference. 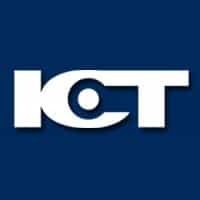 “The success of the conference, as well as many other activities of the ICT, could not have been possible without our partnership with Keren Daniel. We are grateful for their support, friendship and advice throughout the years,” Ganor said.